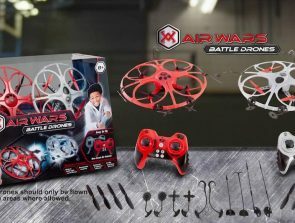 For too long, drone manufacturers were intent on appealing to flight hobbyists who looked upon drone technology as the latest toy to replace the remote-controlled airplane. Even when drones were used for actual work, it was mostly by filmmakers or photographers looking to capture an artistic shot from an angle that was accessible only to creatures that could fly. DJI, the leader in drone tech, has turned their attention from individual consumers to large-scale industries that can make good use of their technology. The latest offering from DJI is the M200, which trades in the flashy design and eye-popping colors of recreational drones for a more solidly built machine in sober black. DJI put a lot of thought towards making the M200 into a piece of equipment that offers the most value in an industrial setting. The drone comes in three versions. The M200 is equipped with one downward facing gimbal mount. 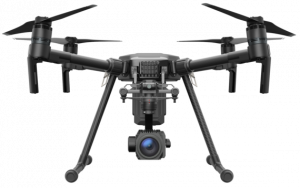 The M210 can carry a single downward facing gimbal, two parallel downward-facing gimbal mounts, or a single upward facing gimbal mount. A host of third-party sensors and accessories can also be added to the device using the connectivity ports. Finally, the M210 RTK comes with D-RTK modules which allow for navigation that is precise up to a few centimeters. All versions of the M200 have a body which can be easily folded and carried to the work site where they are to be used. 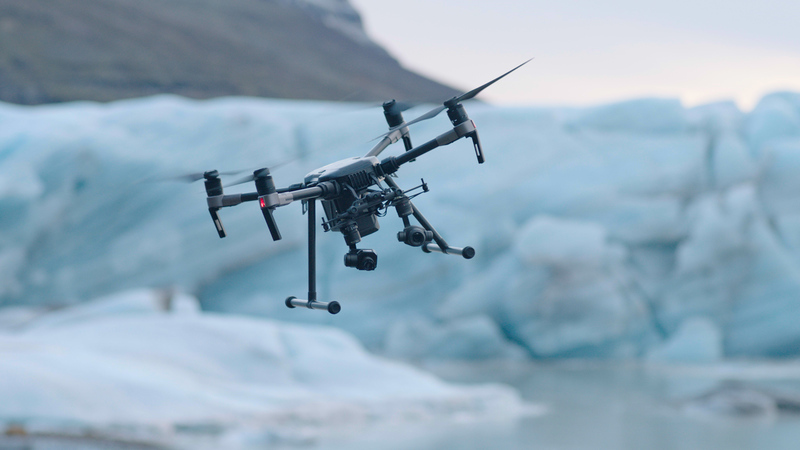 A particularly noteworthy feature of the drone is that it can regulate its own temperature, which means the device can be used in freezing or blazingly hot weather without breaking down from internal problems brought about by the extreme external temperatures. The mounts are equipped with powerful X4S and X5S cameras in addition to a Z30 zoom camera and an XT camera for thermal imaging. Dual controllers and a forward facing first-person camera mean that separate images can be monitored by the pilot and the camera operator. An alarm system, in conjunction with an ADS-B receiver keep a lookout for any available information about nearby traffic in order to inform the pilot if a flying object is getting dangerously close to the drone. The dual battery set up means the drone can fly up to 35 minutes at a stretch for distances up to 7 km. It is virtually impossible to keep a close eye on a city’s infrastructure that is spread out over several hundred miles in all directions. With the M200, power lines, telecommunication towers, bridges, and more can all be observed at close quarters regularly. Using a drone limits the ever-present danger of a human inspector receiving a shock, falling from a great heights, or having to travel by road all over the district. The powerful cameras attached to the M200 can pick out fault lines that are no more than a few millimeters in size. Even within a single factory, going over the maintenance planning can be costly and time-consuming. Now, instead of sending out engineers on daily rounds, the M200 can be dispatched to take a look around the facility. They can even go to areas which have been deemed too radioactive, or generally too unstable for human workers to venture into. 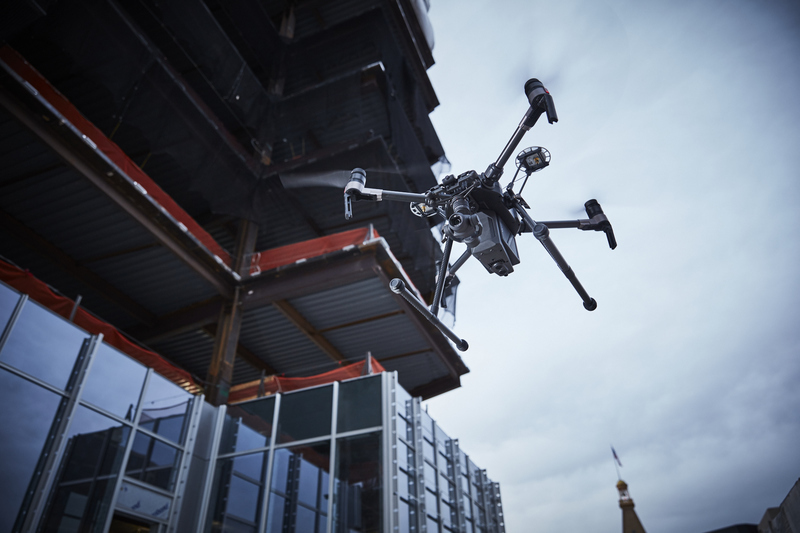 One of the most popular uses for drones is for carrying out inspections of construction sites. The surveying and mapping of such sites need to be carried out well before construction can begin, regardless of how bad the weather might be or how large or intricate the area. In the past, the site mapping exercise had to be carried out on foot. Now the M200 can map out the entire area in a few quick trips, create a 3D replica of the area from the images it captures within a few hours, and generally make the job of the construction manager much easier. Storms, fires, tornadoes, and power outages are just some of the emergencies that can bring human society to a standstill and cause great harm to lives and property. Instead of sending human workers to investigate areas that have been hit with such problems, the M200 can be the first responder to the scene. Its cameras can relay all the information about the location back to the operator, while its sturdy build can help it remain unharmed by the wild weather. Rescue operations and reconnaissance missions can be performed with greater ease than ever before and without risking lives in the process. One of the main considerations that went into the M200’s design was the fact that an industrial grade drone would likely have to face much greater dangers than a drone used at home would, where the only dangers to the device often take the shape of a nearby dog or a spray of water from a garden hose. Out in the open, on a construction site or near bridges, the M200 would be on its own in all kinds of dangerous weather, and with the constant possibility of ramming into a steel truss or colliding with birds or other aerial vehicles. That is why DJI equipped their drone with the latest in smart-flight management. The GS Pro App allows DJI customers to input complex flight patterns for the drone to follow. 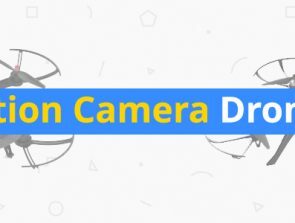 Various intelligent flight modes for the drone allow it to perform a series of surveillance movements, from locking the camera onto a subject while the drone keeps moving, circling around an object, to following a moving object while keeping it in frame. 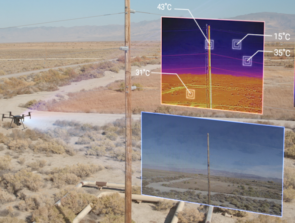 Stereo-vision systems located below and in front of the aircraft work along with the drone’s infrared sensor to give it unparalleled obstacle avoidance abilities. With such exciting features, there is naturally great interest within industrial circles in the M200 drone model. 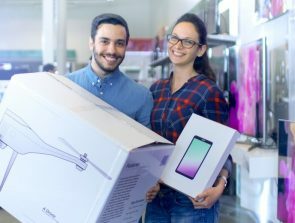 DJI has started taking pre-orders for their device, and shipping is expected to start from the second quarter of 2017. The M200 will certainly shake up the commercial drone industry and from first reports looks to be the best commercial drone you can buy.